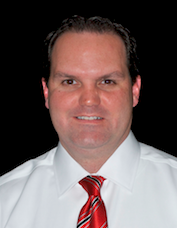 Matthew Chapman is the owner of Origin Technologies and a Florida-based Corona Ambassador. Matthew has been creating apps for the iPhone since the App Store was first launched and has published mobile content for iOS, Android, Kindle and NOOK. His most recent release, and his first game, is called Coin Adventure and is now available on the App Store. My first foray into mobile was building an app called Florida Poisonous Snakes. While I realize that snakes are in fact venomous, not poisonous, someone had already taken that name, despite the fact that they never released the app. I wrote the app in NimbleKit (now owned by Sencha) and showed some basic information about six venomous snakes in Florida along with several pictures. The app has since evolved, and I rewrote it in Corona SDK along with all 15 of my current apps. While I am particularly fond of my first app, what I am most proud of is the unique niche I created for my company. 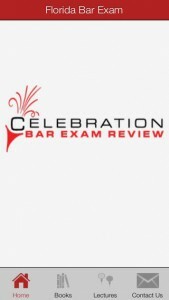 Over 13 years ago, I partnered with Jackson Mumey of Celebration Bar Review to help with their technology needs. Over time, the partnership progressed into digitizing audio lectures into first a streamable format, then for the iPod, and eventually putting the courses into an app format. Over the past several years, my company created seven apps that cover the Bar Exams in various states including California, Florida and New York. Each of these apps start at a price point of $199.99. That is not a typo. I’m responsible for the programming while Jackson Mumey works on the content. From there, we split the profits after Apple’s take. The result: students that use the apps have an extremely high pass rate. Delving into the mobile world provided a way for Jackson to reach more students with his coursework with no startup costs. Some students of the app go on to mentor directly with Celebration Bar Review, helping Jackson further grow his business. These apps also provided us with a fantastic revenue stream and the continuation of a long-term business partnership. At first, we received downloads twice a year for a few months as students ramped up for tests that are only offered twice a year. Now, downloads are more consistent month to month and student feedback has been phenomenal. We are releasing updates on a regular basis and continuing to invest the time into delivering a great product for our students. Recently, I even updated the Celebration Bar Review apps to have the look and feel of iOS 7. While we don’t discuss download numbers, it suffices to say that receiving even 5-10 downloads a month at this price point is far better than receiving ten app downloads at the standard $.99 cost. The niche and high price point of my apps has allowed a bit of fame, income, and the flexibility to build the apps that my kids want to play. Can you share with us the evolution and/or studies that led to your App price? We did not want to be as expensive as the BarMax 999.99 app but felt the content we are providing which is already part of a multiple thousand dollar mentor program was worth more than .99 or even 49.99. We started at 499.99 dollars each and we sold them at that for a few years gradually bringing the price down to attract more customers while not eating into the core business of mentoring. Corona is now 100% analytics free!